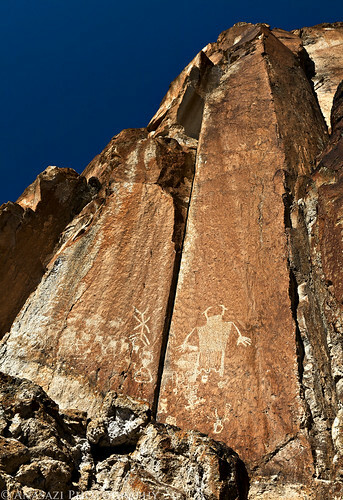 Looking up at one of the largest (if not the largest) horned anthropomorphic figure found in Fremont Indian State Park. This figure is carved high up on the canyon wall at the top of a loose and steep talus slope and it patiently watches over Clear Creek Canyon. There are many other petroglyphs located adjacent to this panel, too.